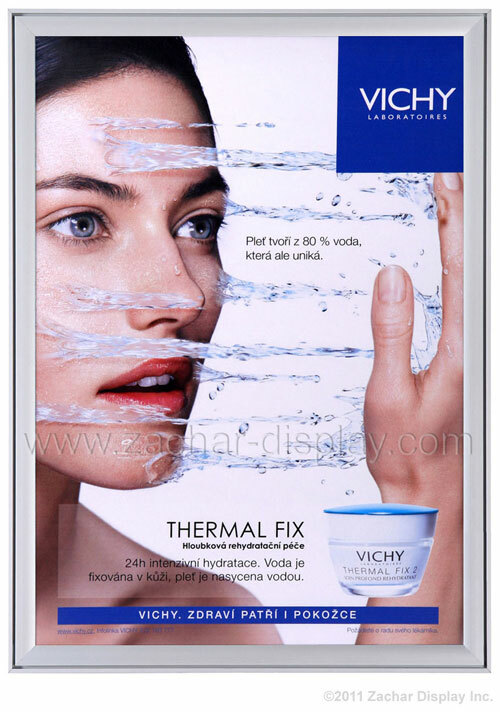 Outside dimensions: 24.15" x 30.15"
Snap opening and closing of aluminum edges provides easy poster change. 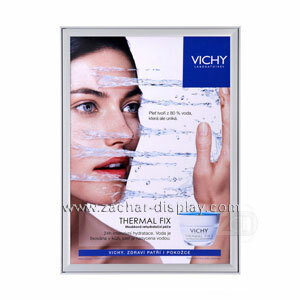 Compasso is our premium poster sign frame. It provides a unique cut design that is sure to capture your audience’s attention. Made with the same high quality materials and precision cutting as our other poster frames, Compasso style adds the little extra touch of elegance to your message. 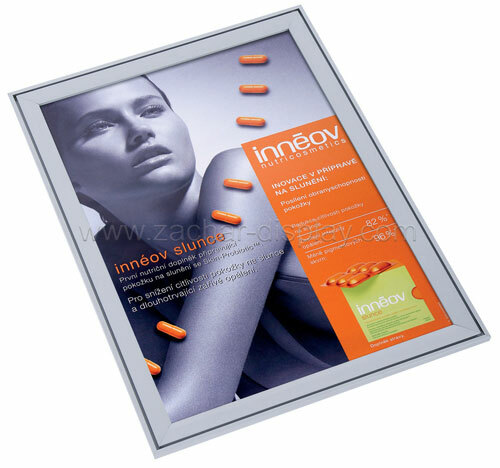 These easy to use snap-open frames allow you to change your poster sign out in seconds and the UV stable anti-glare film ensures that your message will remain intact. Available in a silver finish and in several different sizes to meet your needs.